Gas fireplaces built-in insert. 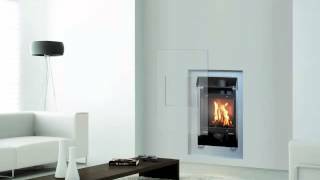 A smart Gas fire extremely simple, "plug and play".Install it wherever you want. AVAILABLE ONE-SIDED AND DOUBLE-SIDED VERSIONS. Gas Fire with traditional size, it creates atmosphere with a classic flame view. Flame setting (min-max). Visible flame surface: L 701 mm X H 418 mm. Traditional shape suitable for any ambient.